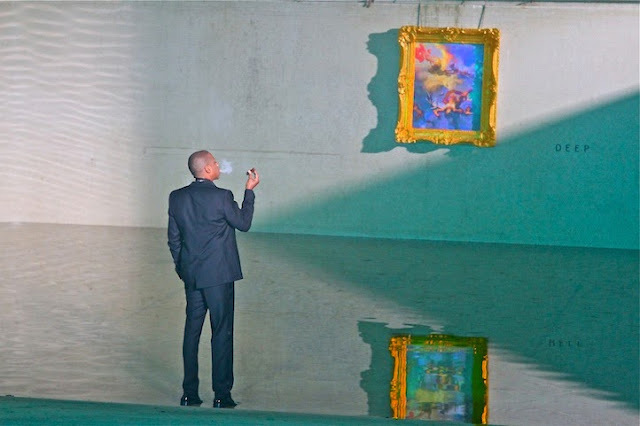 Jay Z announced the North American leg of his Magna Carter World Tour today, a schedule of 34 dates in 33 cities (he's performing in his native Brooklyn twice). This Stateside tour--plus two Canadian dates--comes after his international run; it kicks off November 30 in St. Paul, Minnesota, and runs for two full months before wrapping up January 31 in State College, Pennsylvania. Close to home, this tour is doing something I don't recall a major hip hop concert arena tour ever doing: it's coming to both Charlotte and Greensboro. The Magna Carter World Tour will stop into Time Warner Cable Arena in Uptown Charlotte on Saturday, January 4 (we get a weekend date!) and travels up to Greensboro Coliseum the next night. Despite Charlotte being the larger city and more of an attractive destination, Greensboro has a richer history of hip hop concert tour promoters choosing it over Charlotte. Most large hip hop arena tours--those going to 15,000-seat arenas or larger--usually only make one stop in North Carolina, and in fact tend to have one stop total between the two Carolinas. The notion is that people from around North Carolina will make the drive to the select city, as well as people from parts of South Carolina (South Carolinians also often go to the Atlanta tour stops). That one North Carolina city has long been Greensboro. My hypothesis has always been that in the past tour promoters found Greensboro to be a stronger selling point for hip hop concerts, thanks largely to numerous colleges being located in the area. And for whatever reasons, in the past hip hop fans in Charlotte didn't tend to buy concert tickets in advance at the large numbers promoters wanna see. I've seen Jay Z in concert twice in recent years, and both times I had to drive to Greensboro: his 2008 tour with Mary J. Blige, and his 2011 tour with Kanye West (not to mention, last weekend I went to Philadelphia for the music festival Jay Z curates). Speaking of Kanye, he announced his own tour yesterday, The Yeezus Tour. Kendrick Lamar will be his opening act. That tour isn't coming to either of the Carolinas though. The closest stop to Charlotte is Atlanta. The last time Kanye came to Charlotte was to Time Warner Cable Arena in 2008. I'm happy that I'll be able to see Jay Z in Charlotte this time. And I'm extremely surprised that he's coming here in addition to playing in Greensboro. The two cities are about an hour and 45 minutes apart, which looks to be the shortest distance between any of the cities he's taking the tour to, except for, maybe, cities in California--he's playing five cities in that state on consecutive nights. But come on, that's Cali. It has a population the size of many countries. I'm curious to see whether the two North Carolina shows sell out. One thing is for sure, if you plan to go, you need to be aggressive next week when tickets go on sale. When tickets for popular concerts go on sale online, people often complain that they can't find any available tickets on the official seller's website within minutes of the sale start time. In addition to ticket brokers snatching up a lot of them to later resell at higher prices on sites like StubHub and Craigslist, I learned from a 60 Minutes segment (and this NPR story) that there usually aren't nearly as many tickets on sale to the public on the start date as you might think. Oftentimes, only about 20 percent of the tickets are available because the majority have already been sold days before through presale via the ticket site, artist fan clubs, and credit card promotions. 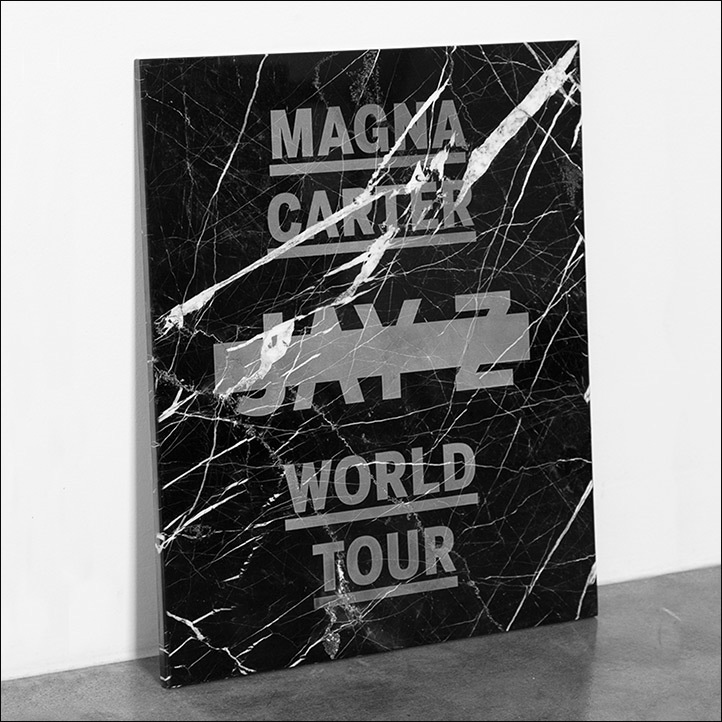 Live Nation is producing the Magna Carter World Tour, and tickets for all dates will go on sale Thursday, September 12 at 10 a.m. (EST) at LiveNation.com and Ticketmaster.com. But pay attention to the presale info. You can sign up now for early access to presale tickets that will be available on Wednesday, September 11; there's also a presale offer available that day through Facebook. And if you're a Citi card member, you can buy presale tickets beginning Monday, September 9 at 10 a.m. through Citi’s Private Pass Program. If you haven't learned from past experiences, those presale options are where a lot of the tickets, particularly the best seats, are snatched up.